Lea Cline (center) talks with students at Pompeii. Kathryn Jasper and Lea Cline have never seen a student weep when looking at a picture of the Colosseum in Rome. Yet the two, who developed a study abroad curriculum that interweaves their disciplines, have witnessed many a teary eye when they stand with students in front of the actual Colosseum. “When you see a student crying with joy, you know you have made an impact,” said Jasper. “Of course, we’re nerds about this stuff, so we tend to get teary as well,” added Cline. Kathryn Jasper lectures students at Assisi in Italy. Both assistant professors at Illinois State, Cline teaches courses on ancient art history in the School of Art, and Jasper teaches ancient and medieval history in the Department of History. They are planning their third study abroad trip for summer 2017, teaching ancient art and medieval history in Italy. It’s all part of an ongoing, interdisciplinary collaboration between Cline and Jasper, geared toward making studying art history and history more seamless for students. In an effort to ease the transition, Cline worked with her art history colleagues to develop a new curriculum that includes 200-level art history courses, and lowered the number of requirements for the classes. 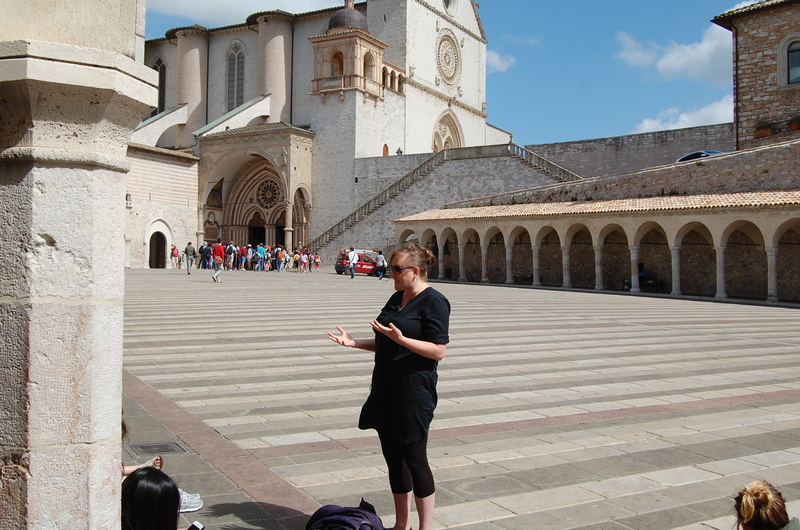 “If you are a Spanish literature major, and just really want to take an art history class, now you can, as long as you have gotten past the initial general education courses,” said Cline. At the same time, she and Jasper began working on upper-level courses that could combine their disciplines. The 15th-century palazzo Orvieto in Italy. The study abroad courses are also being converted to 200-level classes that can count for credit in the general education sequence, rather than as an elective, meaning that all students will earn credit toward their degrees (no matter the major) while abroad. Cline’s course is already listed as ART 282 Art History Abroad, and Jasper is working to create a similar 200-level for the Department of History. 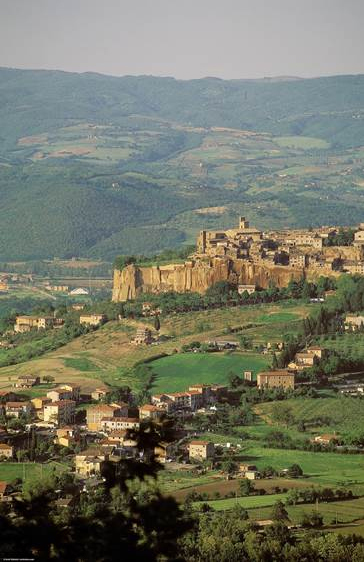 Find out more about the Orvieto, Italy, program.